Like with any reality tv show, my opinions of the HM’s (House mates, as they are called here) changed throughout the season. Tim, who was a trickster with a heart. I didn’t like Tim at first, but then, appreciated his humor and was happy to see he did have a heart, showing kindness throughout the experience. Jade, who proved to show compassion and did not think she’d make it to the end. Tahan, a HM who cared more for her make-up than her experience. Tahan, while she was fun to watch in the beginning, proved to be a spoiled little girl, who was most interested in her hair dryer and a Kim K clutch bag. Tahan also has a famous boyfriend, which no doubt, added to her votes in keeping her there until the final three. It angered me that the show portrayed her as being “extremely honest.” Tahan did not exibit honesty. She exhibited bluntness, which is different. I wanted Jade to win. But, ultimately, Tim winning was a good fit. The jokester with a heart made it to the end. You could tell he appreciated it, that he really felt ‘in a dream’—- congrats! 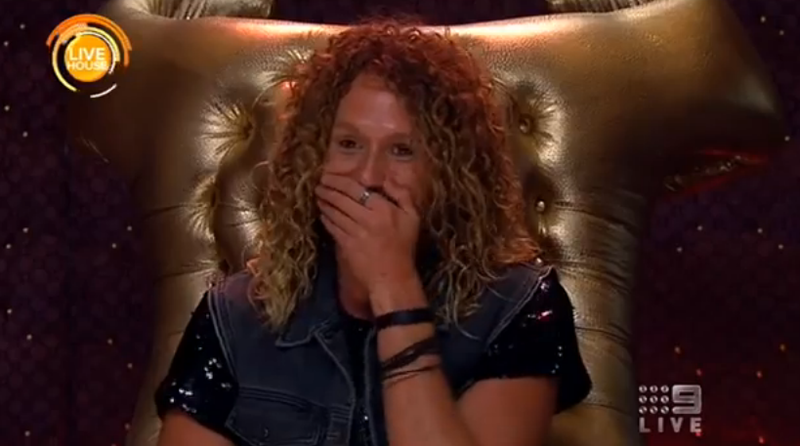 BBAU is a step up from the US version, it’s incredible. There’s drama, yet it isn’t tasteless. People cry when people are evicted. There were only personal attacks by two HM’s at most, verses almost the entire house in the US. The audiences are much larger, the HM’s feel more like this is an EVENT. An interview with an evicted HM is on average, 8 minutes, verses the shorter of the US. I mean, I could go on, but you get the point. Allison Grodner needs to take some notes and overhaul the Us version of BB. BBAU proves that ‘Big Brother’ can be a truly enjoyable show and doesn’t have to be a liar’s game with backstabbing and personal attacks. On this version, all HM’s are evicted and the winner is decided by a public vote.